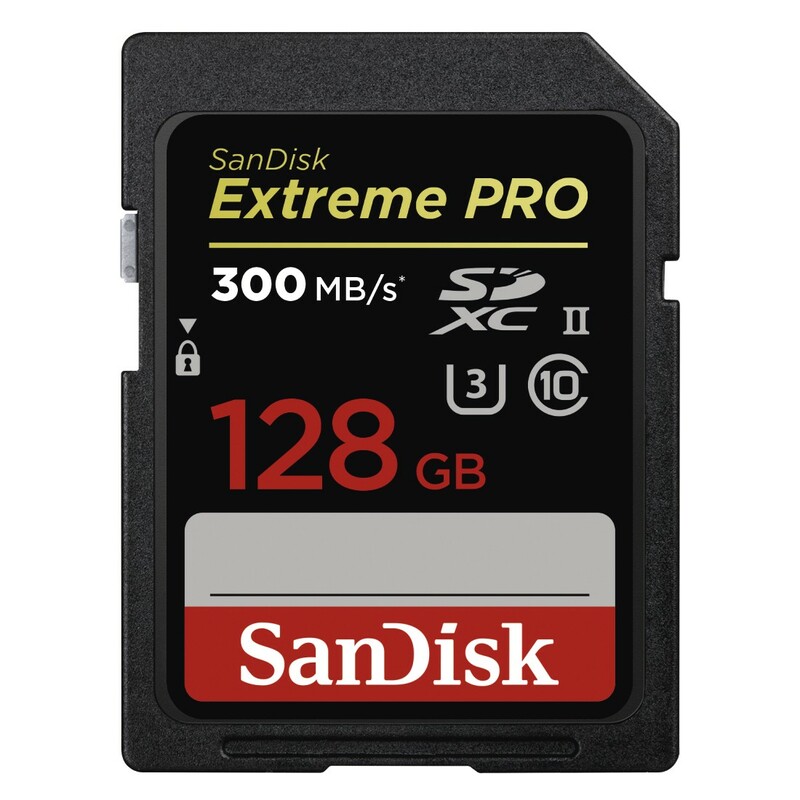 For super-fast continuous burst mode shots, maximum post-production workflow efficiency, and high-performance video recording, get SanDisk Extreme PRO SDHC and SDXC UHS-II cards. The high-performance SDHC and SDXC memory cards boast shot speeds up to 260MB/s* (1733X) and transfer speeds up to 300MB/s* (2000X). UHS Speed Class 3 (U3) supports 32GB to 128GB** of Full HD and cinema-quality 4K video recording1. Optimized for cameras that support the new UHS-II standard, SanDisk Extreme PRO SDHC and SDXC UHS-II cards deliver the uncompromising results that professional photographers demand. Professional cameras and high-resolution camcorders deserve the power, performance, capacity and reliability of SanDisk's latest innovations. This is why professional photographers and videographers trust SanDisk® memory cards. For maximum efficiency, SanDisk Extreme PRO SDHC and SDXC UHS-II Cards deliver extremely fast transfer speeds of up to 300MB/s* for post-production workflow. Write speeds of up to 260MB/s* handle rapid shots, sequential burst mode, and RAW plus JPEG capture with ease. With UHS Speed Class 3 (U3) rating2, SanDisk Extreme PRO SDHC and SDXC UHS-II cards let you capture uninterrupted cinema-quality 4K and Full HD video1. This makes them ideal for professionals recording extreme sports and other fast-action activities without dropping frames. SanDisk Extreme PRO SDHC and SDXC UHS-II Cards are shockproof, temperature-proof, waterproof and X-ray-proof5, so you can enjoy your adventures without worrying about the durability of your memory card. The card comes with a RescuePRO Deluxe data recovery software download offer.3 This software makes it easy to recover files that have been accidentally deleted (download required).